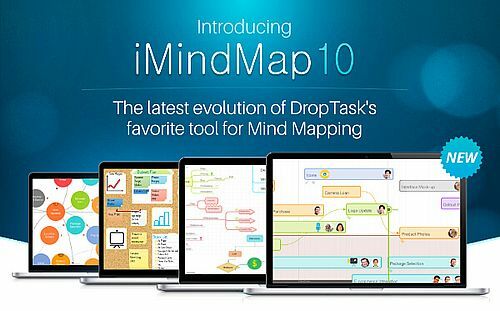 Join over a million iMindMap users, the only tool recommended by Tony Buzan, inventor of Mind Mapping. iMindMap is a complete digital thinking space. It has an organic Mind Map View, unique free-form Brainstorm View, responsive Fast Capture View and accessible Presentation View. 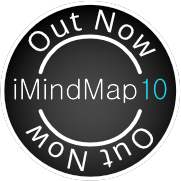 With the addition of the new Time Map View and refined Branch Drawing Tool, the possibilities are endless with iMindMap 10. Work creatively with iMindMap's five views designed to help you nurture your thoughts. Capture, organise, develop, action and launch your ideas with this ultimate digital thinking space. Work without distraction and capture ideas at lightning speed in Fast Capture View. Switch to Mind Map View to build on ideas and start developing them into plans. Depending on your preference, choose whether you want a Buzan-style or Professional-style map. Add notes, links, files and comments to capture lots of information on one, easy-to-navigate canvas. Format your creations quickly and work in sync between views with the Side Panel. It’s equipped with tools to make locating, organising and editing your ideas a breeze. Assemble your ideas along a visually rich and interactive timeline and transform them into actionable tasks with the Time Map View. Plan with precision and never miss a deadline thanks to iMindMap’s integration with visual task management app DropTask. Create unique presentations and convey your ideas in a powerful and memorable way. Deliver from iMindMap, Powerpoint or upload to YouTube. iMindMap is integrated with some of the most used tools available so you can save, access and share your iMindMap files in more places.